As a ubiquitous protein in the body, Purα has been considered to possess multiple regulatory functions from DNA replication and transcription to RNA transport and translation. The recent studies have proved that Purα protein played a vital role in neuronal development with the solid and abundant evidence both in transgenic mice and human genetic DNA analysis. The Pur knocked out mice models have been successfully established in two independent research groups and their results demonstrated that lack of Purα alters postnatal brain development. Mice lacking of Purα display decreased neurogenesis and impaired neuronal development. In the mouse brain, the expression level of Purα seems to be regulated with brain development. It starts to express Purα after birth and quickly reach to highest level in the third week. The recent studies also have proved that some neurodegenerative disease also linked with Purα, such as fragile X-associated tremor/ataxia syndrome. 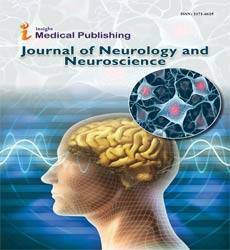 rCGG-mediated neuronal toxicity could be modulated by heterogeneous nuclear ribonucleoprotein A2/B1 and Purα, which is rCGG-repeat-binding proteins. The 5q31.3 Microdeletion Syndrome is another disorder that is associated with the mutation of Purα gene, it has been demonstrated that all the symptoms such as the neurocognitive impairment, neurodevelopmental delay and learning disability are caused by the mutation of Purα gene. In this mini review, we will retrospectively review the current progress of Purα in neuronal development and try to figure out the connections between these observed phenomena and the biological function of Purα.